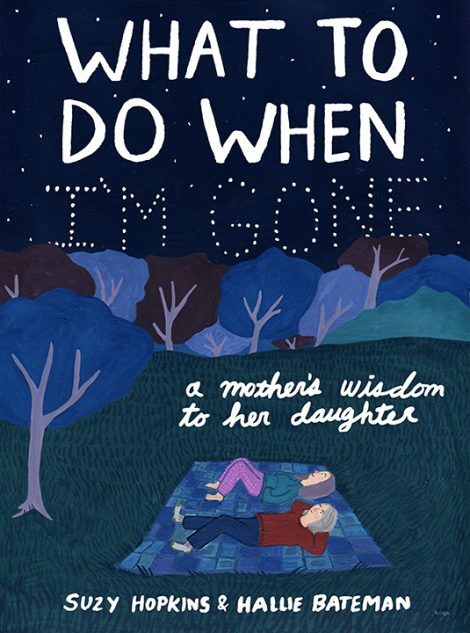 What to Do When I’m Gone is the illustrated instruction manual for getting through life without one’s mom. This guide of step-by-step instructions was written by Suzy Hopkins for her daughter, illustrator Hallie Bateman. Combining Hopkins’s wit and heartfelt advice with Bateman’s quirky and colorful illustrations, it’s also a poignant look at loss, love, and taking things one moment at a time. By turns whimsical, funny, touching, and above all pragmatic, it will leave readers laughing and teary-eyed. And it will spur conversations that enrich family members’ understanding of one another. Hallie Bateman is a Los Angeles-based illustrator and writer whose work has appeared in the New Yorker, the New York Times Magazine, Lenny, BuzzFeed, the Awl, and elsewhere. Her creative journal, Brave New Work, was published by MOMA in 2017. Suzy Hopkins is a former newspaper reporter who since 2008 has published a quarterly magazine (Friends & Neighbors, www.seniorfan.com) for boomers and seniors in California’s Central Sierra. She is also Hallie’s mom. She lives in Columbia, California. 1. 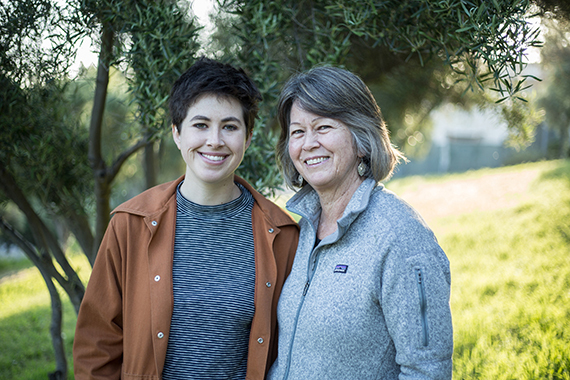 In the introduction, Hallie Bateman writes about the night she truly internalized the fact that her mother was going to die someday. In the morning, she called her mom and asked her to write this book. Have you had a moment like this? What did you do, or wish you’d done? 2. Day 1 in Suzy’s guide includes a recipe for fajitas (8-9). Throughout the book, she continues to provide a variety of recipes. For you, how are cooking and comfort connected? 3. On Day 4 (14), Suzy gives a guideline for her obituary, along with some points not to include. If you could write your own obituary, or guide someone else on what to say, what would you want to be remembered for? 4. Suzy recommends making a “duck-it” list instead of a bucket list, with things you want to avoid your whole life, rather than things you want to accomplish. What do you think of this advice? What would be on your “duck-it” list? 5. What to Do When I’m Gone was a true collaboration project between Hallie and Suzy. Are there any professional or personal projects you have or want to work on with your parents? What are your respective skills? How could they complement each other? 6. Hallie and Suzy chose to present this book as an illustrated guide. What did the art add to the text? If you were to do a project like this, what medium would you choose? 7. Many of the points in this book are practical: go hiking, bake brownies, watch a movie. Why do you think that is? How is this type of instruction helpful? 9. Hallie and Suzy take a practical approach to a potentially morbid or depressing subject. Do you think this book finds the right balance between solemnity and humor? How does this compare with society’s understanding of death? 10. If you had the chance to write a guide for your children (or other loved ones) for after your death, what would be the most important point of advice? Do you think they would follow it?